Our sky is split into 88 different sections called constellations, which have been recognised and used by humans for centuries. 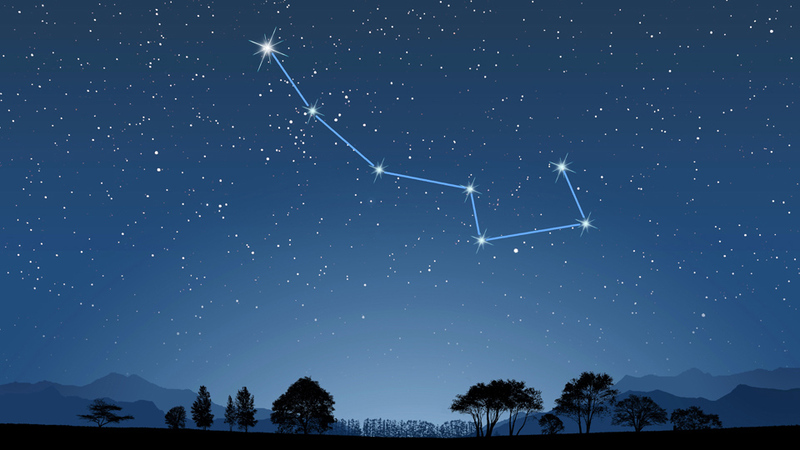 Constellations are set patterns of stars, such as Ursa Major. Constellations can be used to navigate the globe. The star Polaris is above the North Pole. Modern astronomy uses the term 'constellation' to define set regions of space. When you look at the sky on a clear night, it's a spectacular sight. You can see stars, the Moon, maybe even planets but can you see a great bear, a hunter or a scorpion? Ancient civilisations believed that they could see patterns formed by stars.